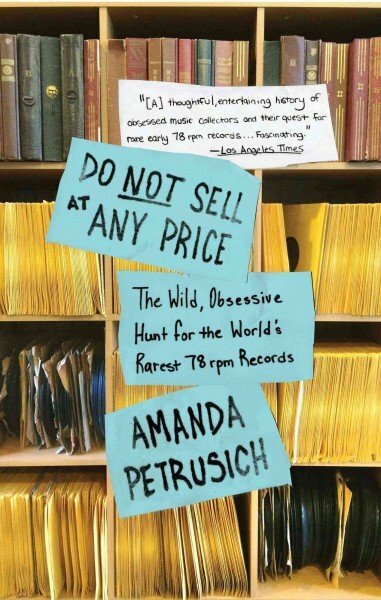 Recently I was listening to the Fresh Air program on NPR and they had a great story about an author who wrote a book about collecting the most rare 78 RPM recordings from around the world. Recordings that would be over 100 years old from different countries. Amanda Petrusich discusses what record collectors will do to go to great lengths in finding these old recordings. “Some, she says, have been known to take jobs specifically because they allow access to strangers’ basements, where rare records may be collecting dust”. I could not help but to be immediately reminded of an old friend of mine named Gust J. 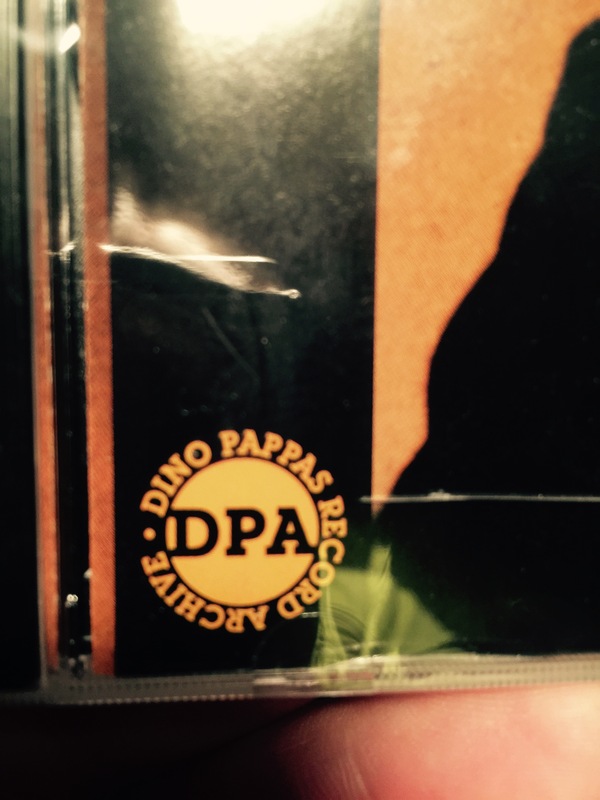 “Dino” Pappas. Dino was a retired Detroit police officer that was an extraordinary collector of music. He was a proud Greek American and his first passion was for the music that his parents and grandparents grew up listening to in “the old country”. First and foremost, Dino loved his Greek folk music. Equal to the music of his country he loved to listen to both Turkish and Armenian music. He never mixed politics with music and even though he was passionate about the atrocities the Greeks endured by the Turkish government, he still loved the music. 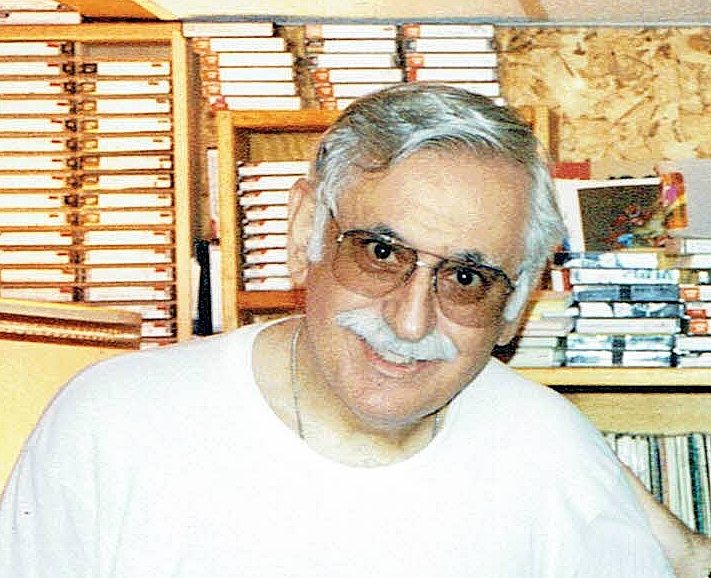 He was well known throughout the country as “the” record collector in many circles including the Greek dance community. 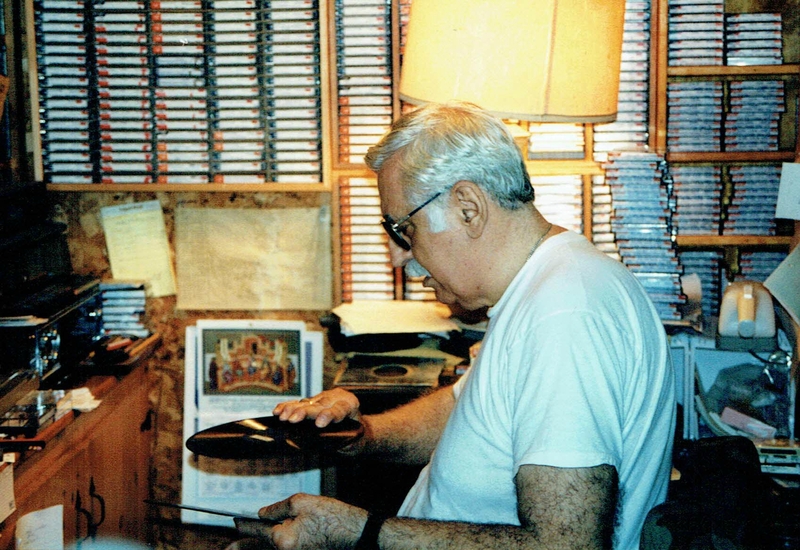 He most possibly had the largest collection of Greek, Armenian and Turkish 78rpm records in the world. At one time he told me that he had 10,000 records in his collection. I first met Dino when I was in my mid-20’s and he lived about 45 minutes from my house. I would, until 1999, spent many hours with him at his house. I would go over to see him and his wife Ann mostly on the weekends and spend hours with him just sitting in a chair in his basement listening to music that he would happily play for me. I’ll never forget the first time I met him and he invited me into his basement. A treasure chest of recordings to any musician like myself or record collector. One of the first things he told me (that I never forgot) was if I was just interested in coming over once or twice to “use” him to get copies of music he was not interested in continuing the friendship. He would tell me stories of musicians that merely wanted to use him as a library when they needed songs to learn for live gigs. That was not my intention and I made that clear to him. However, and perhaps this came from his years in law enforcement, he wanted to see it and not just take my word. It did not take long for Dino to realize I was genuine in my desire to listen and learn and spend time with him – ultimately calling him a friend of mine. 45 years my senior, Dino took me in like a son or nephew. Many times when I would show up at the house, he would have me go with him to the store to pick up lunch and we would return to his house and sit in his kitchen with his wife and enjoy a sandwich and conversation. Dino in his element, playing records for me. This was my vantage point when I would sit in the basement. Dino was ever so colorful in his conversations with me and I always enjoyed his frankness and sometimes inappropriate comments. Some have said he could be rough around the edges but to me, we had a good relationship. Here was a guy that thoroughly loved to listen to music and he could do it all day and night. It was more than a hobby of his it truly was a passion and something that gave him a great amount of joy. A glimpse into how Dino would catalog his records. He was an encyclopedia of knowledge when it came to Greek and Turkish music. Way before computers Dino would document every recording with hand written notes that included catalog numbers record label names and performers. Dino even would write down how he came to own a particular record! He used to write them on loose leaf paper and put them in three ring binder’s which were carefully placed a bookshelves in his basement. He knew where to find any song within his collection. Those visits are still vivid in my memory. His basement was wall-to-wall recordings. He had CDs, cassettes and even rare Greek piano rolls. If that wasn’t enough, he would have duplicates of some of his more precious or favorable recordings. I can still picture it today sitting in a metal folding chair in his basement for 7 to 8 hours while he sat and DJed for me anything I wanted to hear. We never came up for air -he had a full bathroom in basement and so there was almost never a need to see the sun! Many times when we would emerge from the basement, it was pitch dark outside. On occasion, he would yell up to check on his wife. Fluent in Greek, it was extra special to hear him play a record and translate the lyrics to me. Musicians from around the world would contact him as he was considered a major resource for music. Several CD releases include his name in the credits for providing material to musicians in order to learn songs. If the singer was looking for a folk song or instrumentalist was looking to learn different forms of music, Dino was the guy. The logo we used on three recordings of 78rpm releases. As our friendship grew, we often talked about giving him the proper dedication to the years of efforts in collecting music. Eventually this would lead me to produce three recordings under the series called Dino Pappas Archives. It was my way of giving him credit for preserving so much music, it was my way to show others how important he was to me and how important he was to the musical community. We were both proud of these releases. I was proud to call him a friend and I was fortunate to have known him prior to getting married and having a family, this made it easier for me to visit him in those days. When musician friends of mine would come to town, part of the agenda always included bringing them to Dino’s house. As I got older and as time can get in the way of things, going to Dino’s house was not as frequent. I certainly could count on the phone call where he would lovingly admonish me for not coming over to see him. This would often result in me changing some of my plans to go over to his house and spend the day with him. One day I got a similar call from him but I noticed that his tone was different this time. He wanted me to come over to the house almost immediately as I had not been there in a couple weeks. What was different about that conversation was one of the last sentences he said to me which was “you know I’m not going to live forever!” At the time, the comment was odd, but not totally out of the realm of something he would say to me. We ended the call that I promised to come over very soon. I never made it. Later, I found out that Dino had a doctors appointment where he was informed that his heart was not well. I don’t believe he told too many people and sadly I received a call that he had passed away. I have not forgotten about you Dino. I promised to stay a friend of yours and still appreciate all you did for me. In many ways, you helped me appreciate our traditional village music. This entry was posted in Uncategorized and tagged 78rpm, archives, Armenian, cassettes, cds, collecting, collection, collector, Dino Pappas, Folk music, Greek, music, musicians, records, releases, remastered, turkish, vinyl. Bookmark the permalink. Thanks Mihran. Dino’s collection dispersed for the most part. I have some of his LP records. Thank you Annette. I am glad you saw and read this. Dino & Ann were always so very nice to me and certainly I still think of them. It was an easy essay to write. My warmest regards to you and the entire Pappas family!